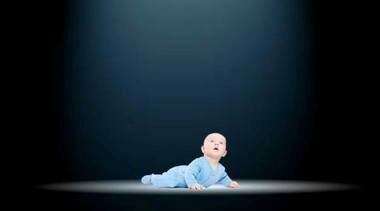 Baby Blues is a children’s show, merging physical theatre with verbatim monologues in its attempt to explore post natal depression (PND). The performance excels in its moments of physical theatre that underscore the whole show. Michael Greenwood’s direction is slick and cleverly thought out. The various movements that accompany the monologues, as well as the choreographed group dances, successfully demonstrate the overwhelming depression, anxiety and claustrophobia that comes with PND. 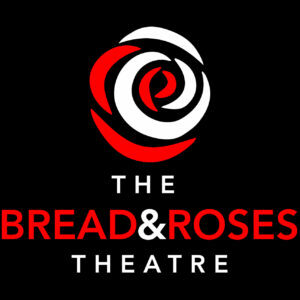 The performers (Tabatha Gregg-Allured, James Douglas, Abi Slade, Eden Tinsey, Mohamed Bangura) really spring to life in these moments – their expressions are impassioned; Tinsey’s performance in particular gave every action a very specific feeling. Excitement is also produced by Alfie Rackley’s music and the use of torch lights, which create drama and utilise the minimalist nature of the show. Unfortunately, where the show slacks a little is in its verbatim nature. The monologues do exactly what the show needs them to do, which is detail the experience of PND in a way that is easy to understand for its audience, and yet the speeches tend to become a little too matter-of-fact. Despite them being grounded in authenticity, allowing for us to clearly understand the message of the show, they risk becoming slightly disengaging at times, verging on being repetitive. While the stories feel important, they struggle to takes us on a real journey, which is crucial when needing to evoke empathy. As a result, moments that almost reach an emotional peak never really find it. The show has a lot of potential with a strong vision and direction and an energetic cast. Children’s theatre definitely offers the chance to use a safe space to educate and excite audiences, but the innovative physicality of this show feels let down by the lack of a satisfying arc in the verbatim speeches. Hopefully this company can continue to develop this piece and deliver the important message that PND shouldn’t be a taboo topic, and that those who suffer from it aren’t alone.